I’m pleased to say that MbUnit v3 Alpha 1 has been released. This is our first release and contains some really cool concepts, however don’t rush and migrate all of your unit tests just yet. If you want to know more about what we have planned in the future take a look at our Roadmap. Within Alpha 1, there are a few core features which I want to pick out. As we are building on top of the Gallio Automation Platform, we take advantage of their UI. 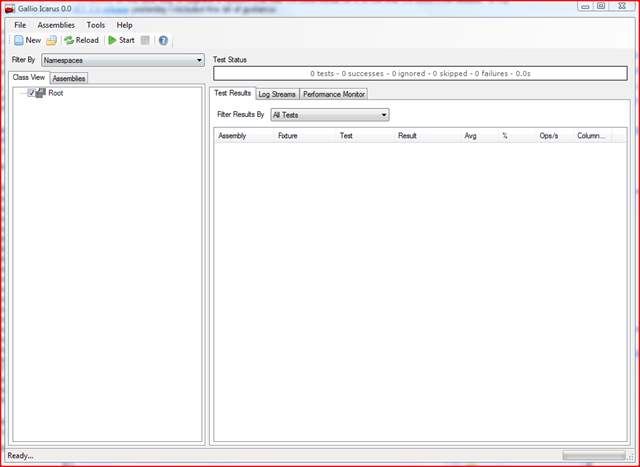 Gallio has the ability to execute MbUnit v2.4, MbUnit v3, NUnit and XUnit tests all within the same user interface. 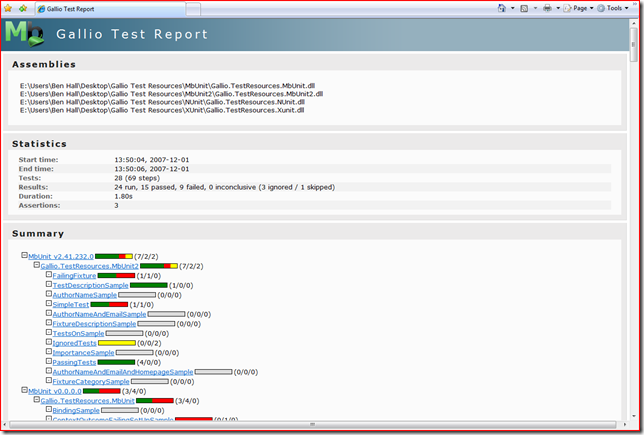 In this screenshot we have all four frameworks executing as a single test run. Over time the GUI will only improve and we have got some great plans going forward. I think its already an improvement over the GUI today. Like with the UI, we also have a new command line. 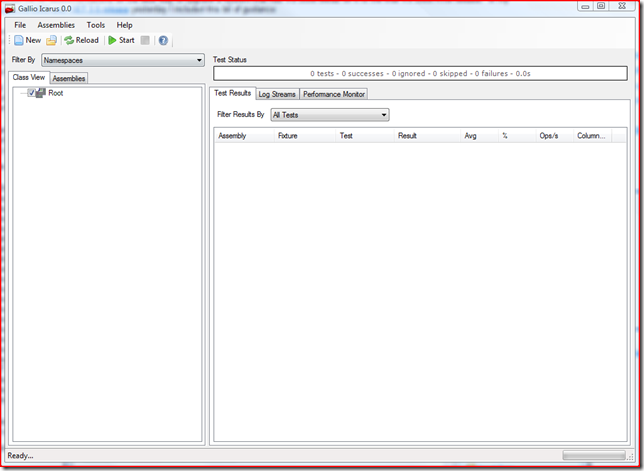 Again, this has the ability to execute tests from the four different frameworks. 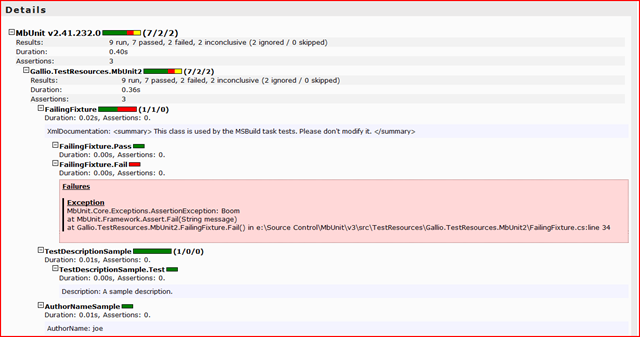 The command below simply loads in all the test assemblies, and outputs a html report to Reports. 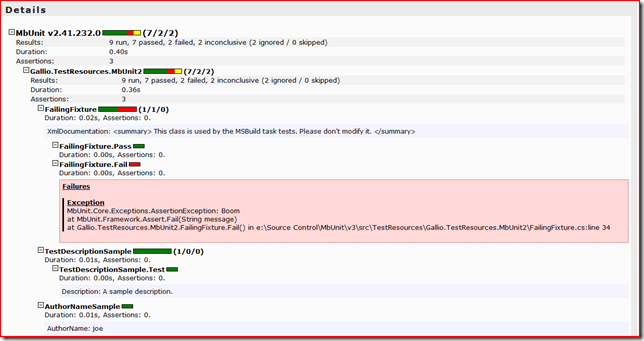 When executing, failing tests are displayed in red. At the end, you will be shown a summary to the test run. Go go with this, Gallio has a new report design. I really like these, think they look much better than previously. The report gives you all the information about the test run, such as assemblies loaded, statistics and summary. Then it goes into detail on each of the test run, highlighting failures. – Initial draft of the attribute extensibility model. – Supports [Test] and [TestFixture] attributes. – Assertions ported from MbUnit v2 in the interim.